When it comes to facilitating smooth linear motion in a machine or equipment, the device that plays a crucial role is an actuator. There are huge varieties of actuators used today, depending on the application, and the type of motion required. 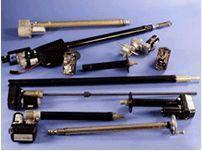 Among the many are Acme screw DC actuators. These actuators are used in a variety of applications, and the reason for their popularity is their design, construction, and properties. These actuators can be availed from a wide range of manufacturers, or suppliers. However, sourcing them from the well-known and reliable manufacturers is always the key to the successful operation and excellent durability of the devices. Venture Mfg. Co. is one such highly experienced manufacturer of high-quality Acme screw DC actuators for its clients in the US. Lower Cost: The most basic, yet a major benefit of choosing the Acme screw DC actuators is that they the manufacturing cost of these types of actuators is comparatively lower than the other types of actuators. Lower Operating Noise: Generally, actuators generate some noise while operating. 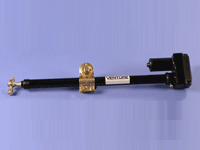 However, the Acne screw DC actuators operate at a very low noise. Prevent Back Drive: Most actuators suffer from the back drive effect, however, the Acme screw DC actuators are resistant to the back drive, which is another benefit of working with these actuators. The inherent frictional force that acts between the nut and the trapezoidal thread is what prevents the back drive. Thus, the application scope of these actuators is improved significantly. Self-Lubricating: These actuators use either polymer nuts or metallic nuts. The polymer nuts are known to facilitate very little frictional force, thus reducing the requirement of lubrication. The metallic nuts, on the other hand, deliver a higher frictional force, and so a good amount of lubrication may be required. 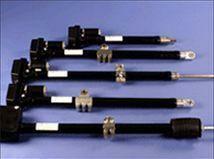 The screw DC actuators are self-lubricating, and thus, you are not required to lubricate it at regular intervals. 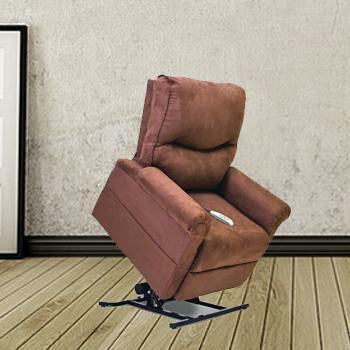 It is taken care of by the actuator itself. Are you looking for a manufacturer, who can provide you high-quality Acme screw DC actuators? Your search ends here, as Venture Mfg. Co. has the capability to manufacture and provide industry-grade actuators at competitive prices. Not only this, but we also help you in getting your actuator designed as per your requirements, and specifications. We are keen to provide good quality products, and so all the actuators that we manufacture are capable to deliver optimal performance for several years. This has helped us build a trust among our existing clients, and build a large base of happy and satisfied clients. Besides this, we provide fast turnaround times, and thus shortest lead times in the industry. This is not all. We can also help you in getting your Acme screw DC actuators customized based on your application requirements.